The return of real denim - as cited by Julia Hobbs in the current edition of British Vogue - proclaims the rise of the vintage fit feel, a form which was long lost to the dominance of the effortless skinny jean, that true blue rinse faded beside the boldness of black ripped skinnies, only to be resurrected in throwback pictures and vintage levi 501s, until now. Think flare, frayed and that all important high-waist and you're set on the denim delivery of revival form - although tough in layer and of wear-in kind, there is something quite freeing about the unbound fit of the flare - the mom jean, even. While the formation of anything but a tight fit spray-on may be daunting, ease yourself to the idea of the flare and frayed with a high rise crop: if one thing is uniform throughout the denim dictionary it is that a high waist measure is eternally flattering. 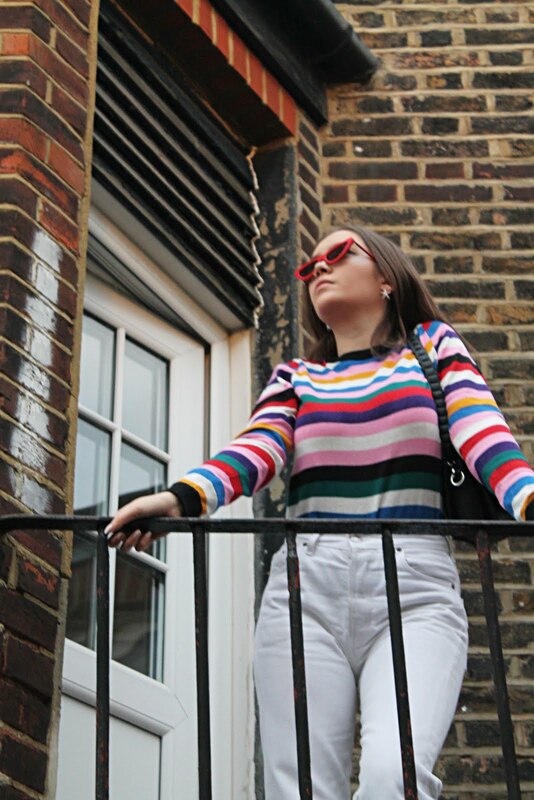 Pair a high-waist cut with a roll neck (my go-to) or a simple white t-shirt a la Chloe Sevigny and Alexa Chung for simple yet effortless appeal, or rather, go all out and layer your roll neck jumper with a striking vintage shirt of 60s pattern for stand-out effect. The frayed format may seem like a wardrobe one hit wonder, destined to only unite with one particular item and with it ultimately forcing upon a sempiternal sartorial ensemble in its minor variations. Fear not however, devotion to the sleek skinny may have left you in trepidation to try a jean of alternating fit, but trial and error of the entirety of your wardrobe should suffice in curbing your free form fear - you will be surprised to find that a loose fit does not mean that it serves a singular role in your attire - why else would such denim be on the rise in popularity stakes? It is all in that frayed effect, the crop pleat - the little details that make a flared jean, even a straight leg - so much more interesting and intricate that your average skinny jean, the form allows for such style to sway away from the predictable. The richness of the denim, whether it be a traditional blue or a faded light look, gives for a look of expense, whether it be well cut designer glory of Vetements standard or a vintage pair of Levi high-rise jeans, there is something about true denim which stands bold and strong, withstanding and unapologetic. A denim piece of akin description will definitely stand the testament of time, being built to be worn in - no stretching shall apply here, instead a moulding of figure form shall occur, ensuring that the fit is not only of comfort and custom tailoring but of sartorially striking standard too. While it is the flare that I covet currently, if there's one thing the skinny won't fall short on in my sartorial choices, it is the dependency I bestow upon it during the night shift, although seemingly stale for daywear, casual attire and so on - the iconic black ripped skinny is still a perfect fit for the going out-out attire. Although the rise of the frayed, flare and crop is somewhat heralding the fall of the skintight, spray on faux jean, its sucked in approach and barely there material is certainly still and will, eternally be a match made for occasions where more sleek and streamlined tailoring is needed. Think nights out, events were the specific category of 'going out-out attire' is unfolded: a metallic lamé top paired with a well worn ripped high-waist (one thing never changes, high waist or nothing) black skinny jean and you're good to go - an ensemble which is forever simple, effortless yet striking and seductive. 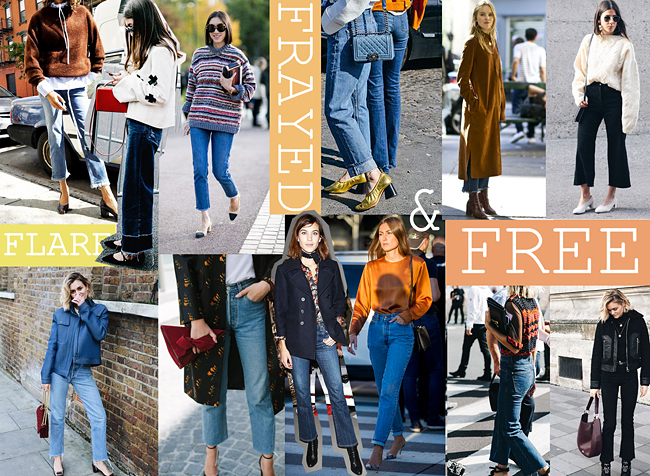 So, while I am no doubt revelling in the delight that is the free forming of the frayed flare and so on, I shall not hang up my go-to skinnies in their entirety, do not fear, bin or bid farewell with bated breath to your well worns either. Instead, certainly adjust your use of the spray on street-wear, after all, there's more than enough room for all of the denim - faux or vintage, frayed or cropped - have it all I say, yet knowing when, where, wear and what is what counts in the denim game now: embrace the free and the high-waist and widen your denim desires to more than the just the much proliferated, ever so common skinny jean. You'll be amazed what a little fraying can do for your ensembles, day to day denim just got more exciting, and free. 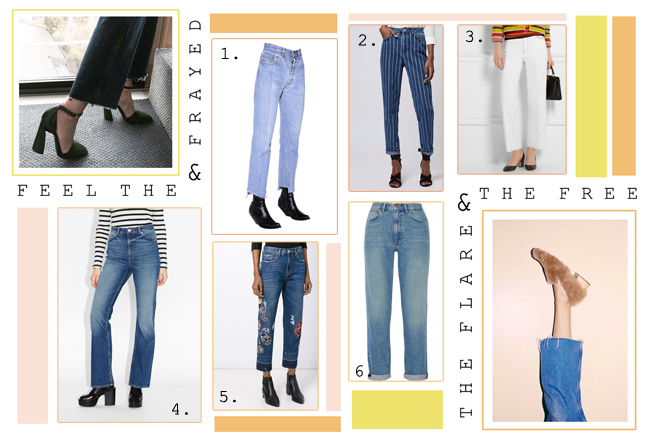 While anything but a streamlined approach to denim is on the rise among fashions favourites, the high street has yet to deliver in full-fledged glory, for now, take inspiration from Marques Almeida and Vetements and DIY yourself a cropped frayed frill. Alternatively, take the plunge and splurge out on designer denim, MSGM are your go-to for embroidered crops. A notable mention goes to THESE Storets cut up frayed flares, unfortunately I am not entirely sure their clothing ships to the UK. Although noted in stylistic history that trends come and go - whether it be the skinny or flare, both will undoubtedly fade and rise again - it is that nostalgic nod to the decades past, the 70s and 90s even, that allows for such style to regain notoriety once again. A proven formula is retried and tested and it seems that this time around it fits yet again - only slight modification is needed for it to fit modern stakes, and it seems the cropped effect is the chop and change which has been added to the vintage denim in modern terms - that and a little accoutrement of the frayed kind, after all, why stop when you can go all out and add flair to the flare? 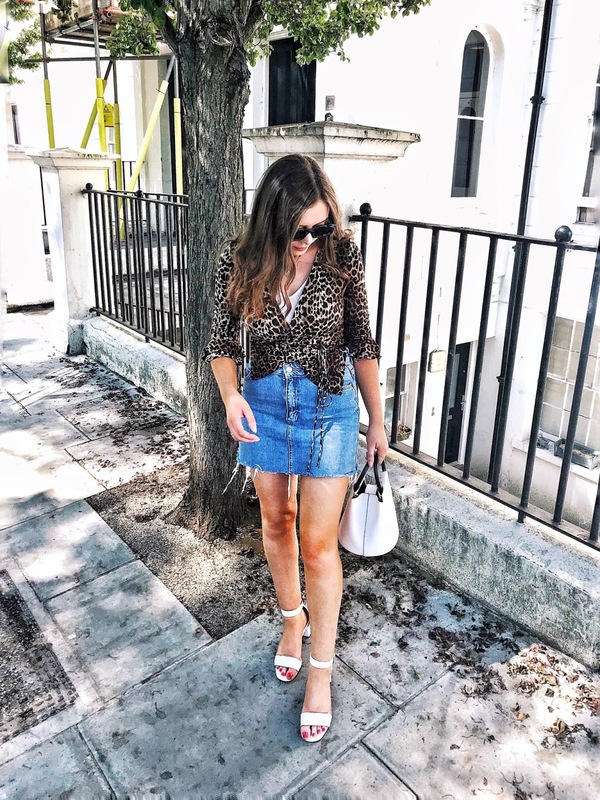 I can't get enough of denim so the fact even more jeans are becoming seen as 'acceptable' to wear just gives me a great excuse to be as out there as I like! I love this post! I am with you I have flared jeans , skinny jeans , distressed jeans , cropped jeans . Even colored flare jeans love your post <3 xo! i love the look of these but i'm not sure if i could pull them off - can't hurt to try!